It’s time to move over from HD and Full HD as Ultra HD is here, and how. Though around for some time, it’s becoming mainstream only now. Popularly known as 4K, with a resolution generally of 3840×2160 pixels, it has twice the number of pixel rows and columns and delivers four times greater picture quality, a visual treat your eyes can feast upon. there’s something on offer for everyone. So let’s go through the best 4k monitors of 2019 we could find. Every single product that ASUS releases from its doors meet the recommended industry standards. Its computers, for instance, are fast and durable. If you are looking for a 4K display, it is also home to many high-performance products. 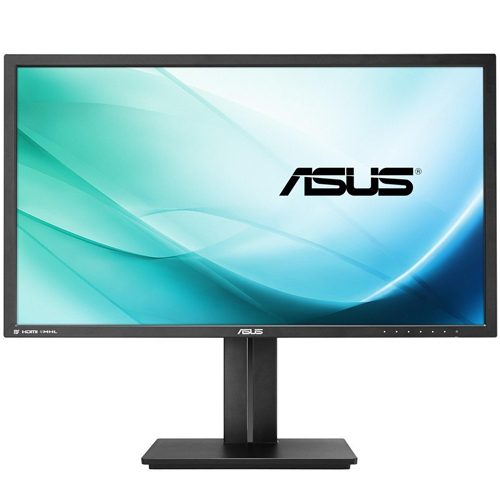 ASUS PB287Q, for instance, is a reputable 28-inch monitor with a true 4K display. If you are using one of the blurry CRT displays that people used in the past, replace it with this one. You will work better. Its ultra HD (UHD) resolution (3840 x 2160p) and 10-bit color are also perfect for watching movies. Did you know that flickering screens are among the leading causes of eye-damage among the working class? If you have one at home, consider replacing it before you become a part of this statistic. ASUS PB287Q will serve you better for many reasons. Its well-engineered display, for instance, has the renowned ASUS Eye Care technology. It delivers flicker-free images (1ms GTG response time). It also lowers eyestrain and fatigue, which has its share of pros. If you have a desk job, for instance, you will work for long without issues. Whilst working on computers, proper positioning of screens is essential if you want to boost your productivity. ASUS PB287Q can help you with this. In addition to its myriad of exclusive technologies (VividPixel and SplendidPlus), you will like its ergonomic design. You can swivel its screen, pivot it, and adjust its height to improve its placement. It also has wall mounting capabilities, which many people like. This monitor has a power save mode that saves electricity consumption in homes and offices. Its versatile connectivity ports (MHL, HDMI, and DisplayPort), on the other hand, are invaluable. You can connect and use most peripherals without issues. This is a powerful monitor. If you are a graphics designer or a movie lover, you will like its UHD resolution. It also has a convenient wall-mountable design with versatile connectivity ports for your peripherals. To enjoy the many benefits of owning computers, you need the best monitor at home or at work. The low-grade ones that people buy cheaply online lower the performance of people. The risk of eye damage is also high if used on a day-to-day basis. Dell P2715Q will serve you better. Even though you more money for it, you get a factory calibrated monitor at a deltaE of < 3. This is beneficial in many ways. First, it has an RGB coverage of 99%. It also has accurate colors. This improves the quality of the images that it generates. Do you struggle to use your monitor because of its fixed position? This is one of the commonest causes of neck pain in offices. 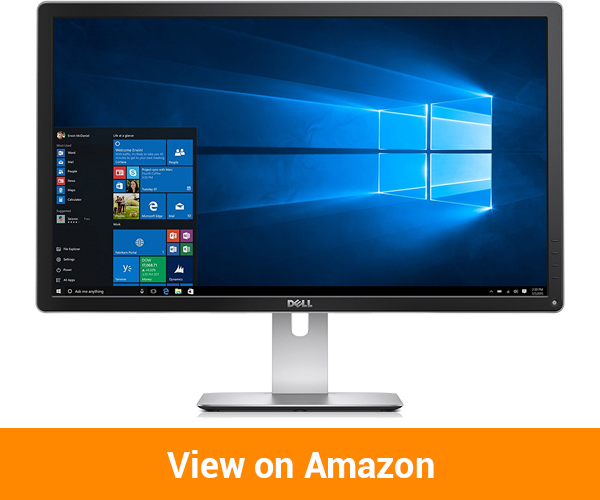 To solve this process and boost your productivity at the same time, buy a new Dell P2715Q monitor. Its 4K display (1.07 billion colors) is notable. It also has an adjustable design that maximizes the viewing options of people. You can swivel or tilt it to your preferred angle. It also works well in both landscape and portrait orientations, which is invaluable. Does your screen black out occasionally? Do you struggle with many performance issues that you struggle to solve? Dell P2715Q will make your life better for two reasons. Because of its superior design and the quality of parts used to make it, malfunctions are not common. This monitor also has an inbuilt diagnostic tool for troubleshooting abnormalities. You will not whether issues are with the monitor or your computer effortlessly. This monitor supports most computers. You can use it with a desktop computer or as a backup display for your laptop. 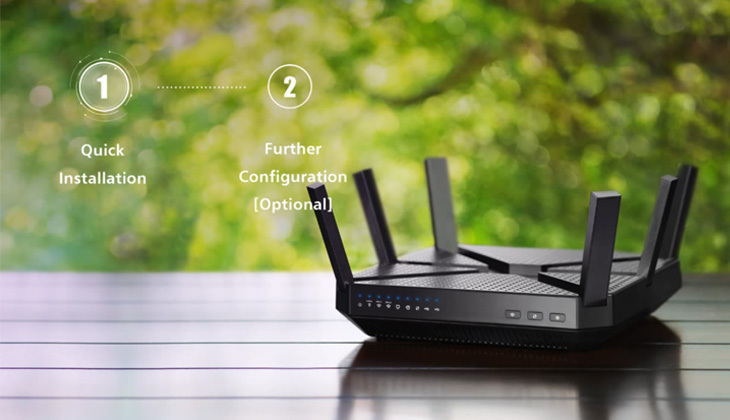 It also supports most operating systems and has a plug and use interface with high-speed connectivity ports. 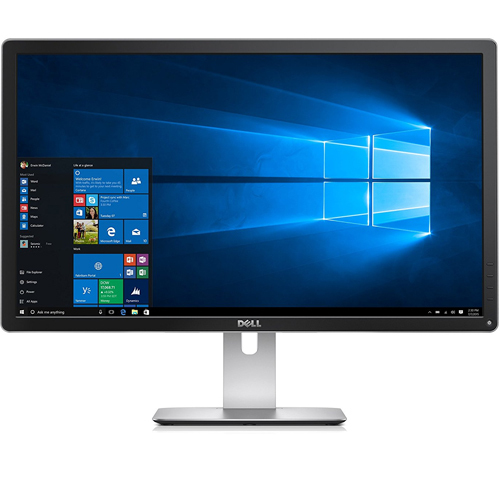 Dell P2715Q is a 27-inch quad hd monitor that displays clear and high-resolution images. Its installation is a breeze. It also has an adjustable display (swivel/tilt) with a diagnostic tool for troubleshooting errors. 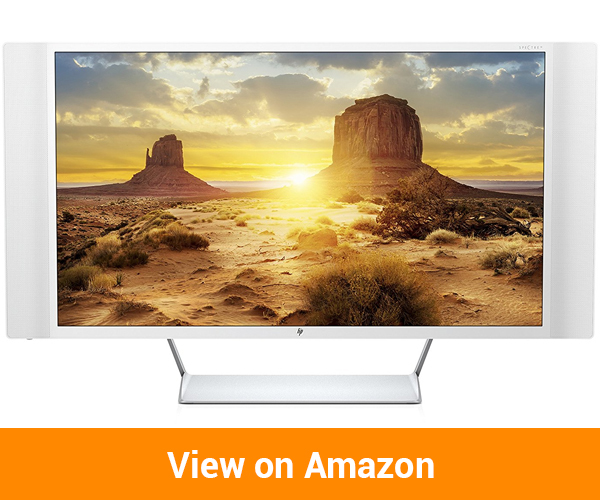 Are you looking for a large monitor with a stunning UHD display? Many brands claim to have products that meet this threshold. However, judging by its positive reviews, Samsung U28E590D is one of the best. Because of its clear and UHD display, its users enjoy lifelike detail while watching movies or playing games. Its high response time (4ms) and AMD FreeSync technology reduce stutter and image tearing. Finally, because it is gentle on the eye, you can use it at work for long without long-lasting health issues. The 1billion colors that this screen delivers are admirable. 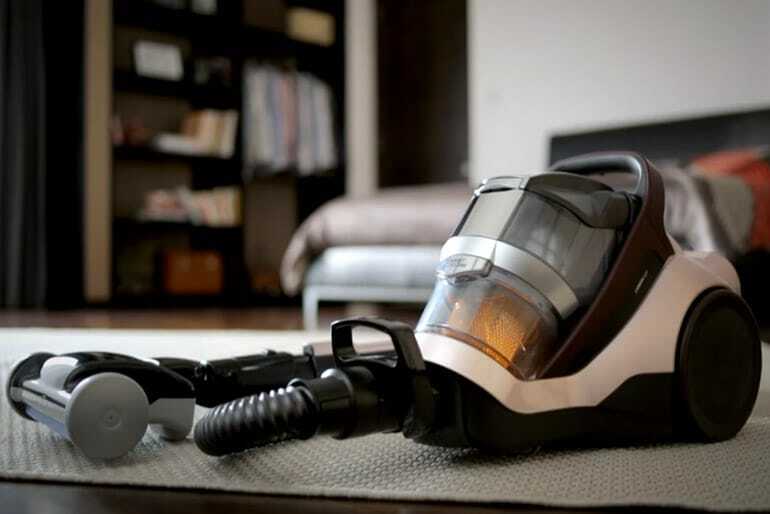 Moreover, if you enjoy entertaining as you work, you will enjoy having one at home. The Picture-in-Picture (PIP) 2.0 technology that it has is invaluable. As you work on a spreadsheet, it enables you to watch a video or movie at the same time in a different window. Because of its size, this is an enjoyable process. Do you have a computer and or a gaming console that you use on a day-to-day basis? To improve its display, this is one of the best 4K monitors to use. Its durable design withstands heavy use well. It also has a display port and two HDMI ports that you can use simultaneously. Both ports have high-speed interfaces. This boosts the performance of people further. Apart from function, many people are conscious about the outlook of their offices. If you are one of them, you will enjoy using this item on a day-to-day basis. Its low-profile design, for instance, does not clutter office space. It also has an adjustable design that you can optimize to satisfy your needs. Forget about the back and necks pains you suffer often. Even though LED backlight bleeding is an issue for this monitor, it works well in most settings. 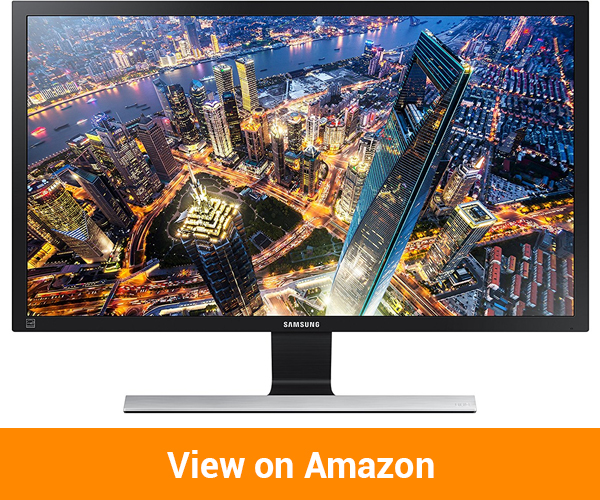 Whether you are looking for a new 4K monitor for entertaining or working, this is one of the best. Its display (3840 x 2160p) is admirable. It also has an impressive response time and a PIP 2.0 technology for multitasking. Best known for producing some of the best document cameras, BenQ’s 4K monitors are also top-grade. For the best experience at home or in your office, for instance, consider buying this BL2711U model. It has a quality UHD display with a resolution of around 3840x2160p. Pictures are lifelike. Furthermore, because of its dynamic contrast ratio, it has an exceptional color accuracy, which most people like. 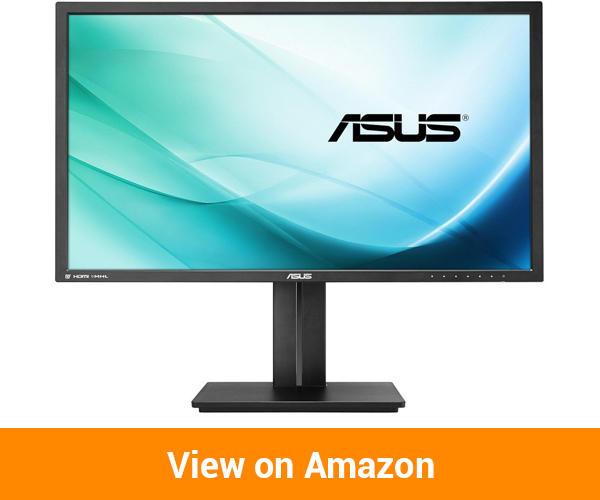 At work or at home, you will enjoy using this monitor on a daily basis. Professional graphic designers have a challenge using some of the standard monitors that come with computers. Their poor color rendering, for instance, compromise the details of images. 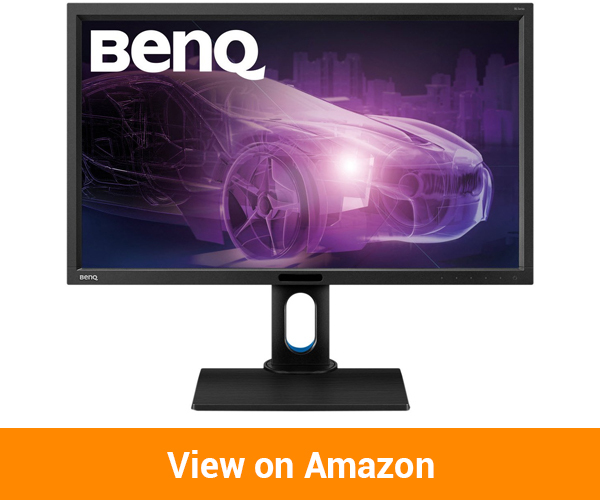 With BenQ BL2711U, however, expect the best results. Its 10-bit system (with 100% RGB), for instance, renders colors precisely. It also generates detailed images and has an advanced animation mode that benefits graphics designers. Spend a few dollars on this monitor to boost your productivity at work. This is a 27-inch monitor. However, unlike some brands that are all size and no substance, the quality of its construction is on another level. The latest IPS panel used to construct it, for instance, is perfect for wide-angle viewing. It also has both Picture-by-Picture (PBP) and Picture-in-Picture (PIP) technologies that boost its suitability for gaming. Devoid of the type of games you enjoy, expect a smooth and seamless performance always. 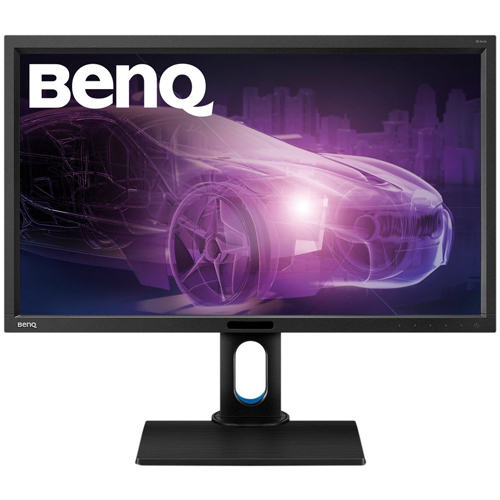 BenQ BL2711U, like most products that we have reviewed, works well with most computers and operating system. Its ports are fast and reliable. It also has a height adjustable design with a protective eye sensor that lowers flicker and the emission of blue light. Buy yours worry-free. 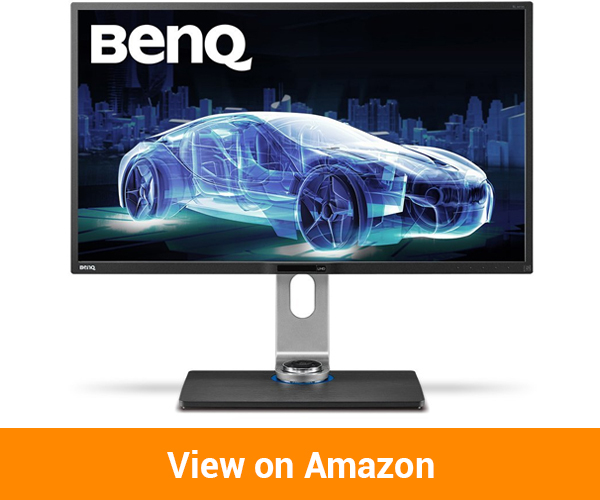 If you are looking for a low-cost 4K monitor that delivers good results, BenQ BL2711U is one of the best. Its users enjoy a flicker-free UHD display. Its size and clarity are ideal, while its height adjustable design suits for most. You do not have to strain to use it at home or in your office. In homes and offices, people have some of the most powerful computers. Unfortunately, the old-fashioned CRT, LCD, or LED displays that they have lower their performance whilst working or entertaining. If you are a part of this group, we have a better product for you. 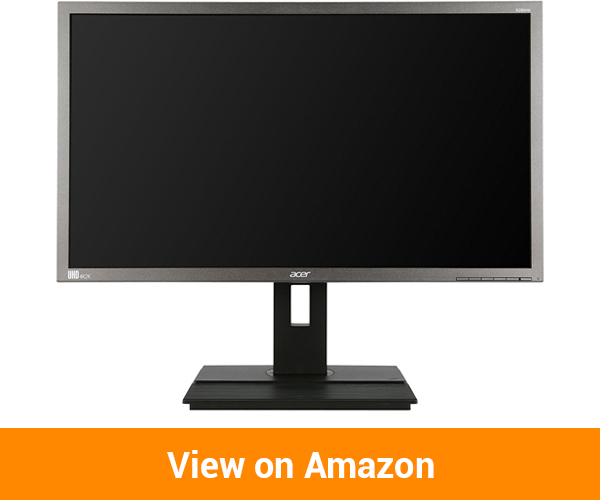 Acer XB280HK is an affordable 4K2K monitor with a resolution of around 3840 x 2160p. Entertaining with this monitor is fun. People get clear and detailed images. Because of its high response rate, the transition of pictures is also seamless. This boosts the efficiency of people in busy offices. Measuring 28-inches wide, this is a large 4K monitor. You can display full pages of documents on its screen while working. Apart from its high response time, you also get an advanced NVIDIA G-SYNC technology that boosts its performance further. While playing, for instance, you do not have to worry about lags and other performance issues. Buy improving the GPU render rate of this monitor it delivers a fast and smooth gaming experience devoid of the type of game you are playing. Whether you have deep or shallow pockets, buying a monitor that does not support your computer is a poor decision. Look for a versatile brand such as Acer XB280HK instead. Its plug and use design supports most types of computers and operating systems. 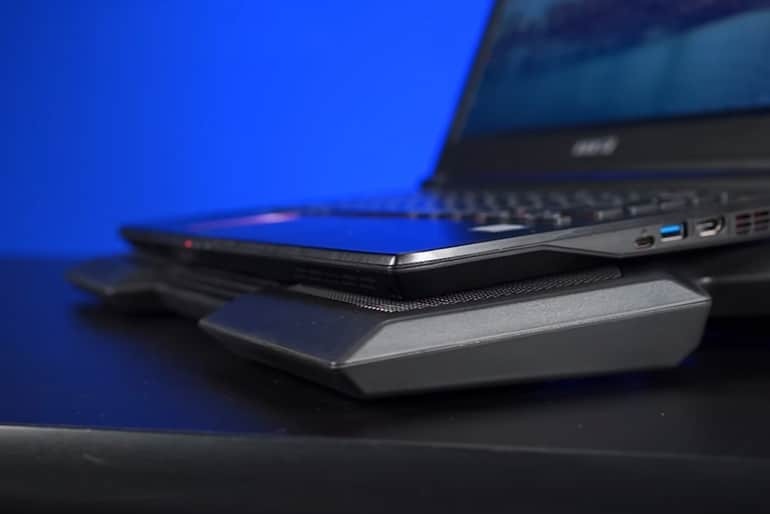 Using one of its five USB ports, you can also connect gaming stations and peripherals such as USB disk drives without issues. Do you have a monitor that flickers often? Has it fades and or lost its visual clarity over time? Replace it with Acer XB280HK. This is a high-resolution 4K2K monitor. Its high render rate and refresh rate improve picture quality, while its durable freestanding design lasts for long. Widescreen monitors have grown in demand, especially among movie lovers. Most models render images well. They also have clutter-free designs with high-resolution displays that satisfy the needs of many people. Acer B286HK is such a product. Attainable with an ErgoStand, its freestanding design comes ready to use. It also has a stable frame and a high-resolution (3840 x 2160p) B6 Series screen that does not glare. While playing video games or watching fast action sports such as soccer, people with low-grade monitors have many issues. Stutter is common. Lags and other performance issues also bog people while engaging in such activities. Fortunately, with Acer B286HK, these are non-issues. Its rapid response time (2ms) delivers high quality moving images. 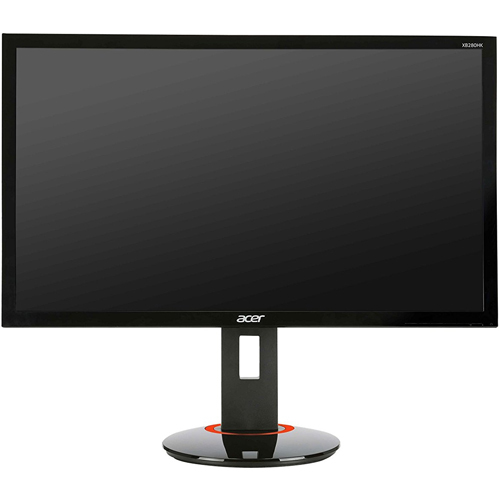 Its anti-glare screen (28 inches), on the other hand, generates immersive graphics while playing games or watching movies. Did you know that a monitor is only as good as the quality of the ports (connectivity) that it has? A large monitor with few or low-grade ports, for instance, will only let you down when needed the most. Even though large (28 inches), the quality of its ports is admirable. The five USB 3.0 ports that it has, for instance, have high-speed interfaces that support many peripherals. You can connect mice and keyboards. You can also connect your mobile phone for a quick charge or to access content. Its DVI-D input, on the other hand, is perfect for watching movies. Even though Acer B286HK lags behind in terms of looks, its performance is laudable. Because of its rapid response rate, for instance, the transition of images is fast and seamless. Its B6 display, on the other hand, is not only large (28 inches) but also clear. Its high-resolution system (3840 x 2160p) boosts the quality of pictures. 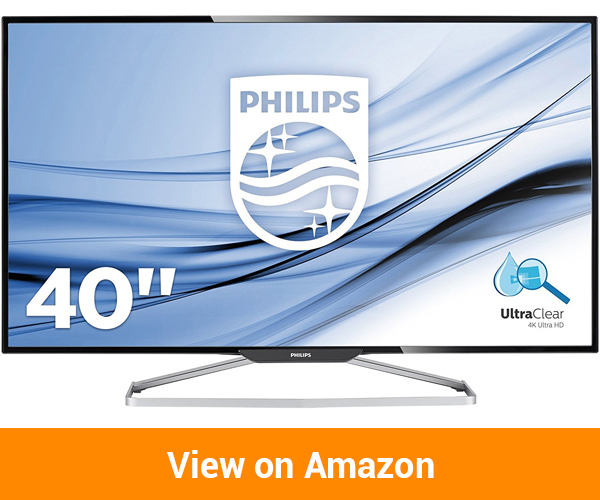 In the 4K monitor industry, Philips BDM4065UC is in a class of its own. Whether you have a computer-based 8-5 job or like streaming movies from the Internet, this is one of the best monitors to use. Its 40-inch (39.56-inch Viewable) high-resolution (3840 x 2160p) monitor, for instance, is admirable. It is large, clear, and has a well-placed VA panel that improves its outlook. You will enjoy having one at home or in your office. The size of this monitor has attracted the attention of millions of people all over the world. To get a clear and engineered monitor that offers value for money, it is also one of the best products to buy. Because of its high aspect ratio (16:9), for instance, its pictures are large and proportional. Even though its color support (16 bit) is lower than some brands we have reviewed, its pictures are of decent quality. They are bright (300 cd/m2) and detailed (50,000,000:1 contrast ratio). You do not need third-party speakers to use this 4k monitor. The onboard stereo speakers that it has produce clear sound. If you ow one of the best floor standing speakers, you can also use them with this monitor. All you have to do is connect them to a power outlet and one of its USB 3.0 ports to work. Philips BDM4065UC has an audio In/Out port, an HDMI port, and a mini display port that works well. Are you setting up a dual monitor system in your office? If the best dual monitor stand in your possession supports 40-inch monitors, buy this product. It is durable. Its clarity is amazing. Finally, because of its VESA mountable design, you can set it up easily without using special tools. You will like the large display (40-inches) of this monitor. 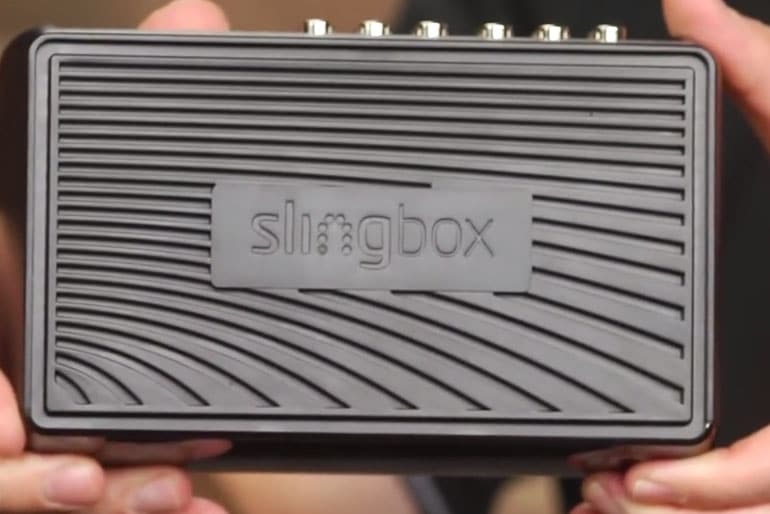 You will also like its clarity, versatile ports, and the onboard speakers that it comes with. Buy for your office to get one of the best products in this niche. 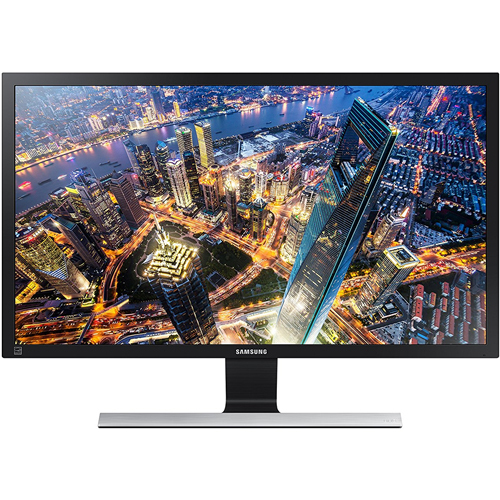 Are you looking for a quality 4K monitor for day-to-day use? Avoid the cheap brands that people waste their money on occasionally. This 32-inch UHD model from HP will serve you better in many ways. Its lifelike picture quality, for instance, appeals to people of all cadres. Whether you are working or playing, you will get clear 3840x2160p pictures from this monitor. It is up to four times better than most standard monitors in homes and offices are. The versatile viewing options of this monitor have made it a favorite of millions of people globally. Using its HDMI or MHL display ports, for instance, you can connect it to a plethora of devices. These include DVD players and gaming consoles such as the PlayStation. It also has a high-speed display port and a multi-source PIP technology that boosts its versatility further. To entertain using some types of 4K monitors, people have to spend on third-party speaker systems. This is not the case with HP Spectre. 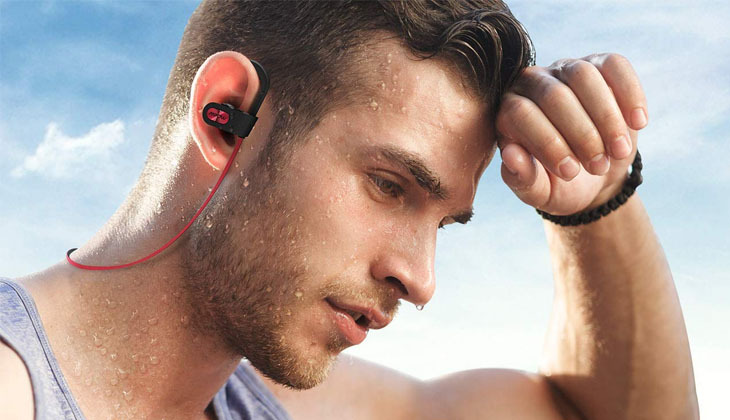 Its quality all-in-one design has a set of onboard speakers that you will enjoy using at home. The speakers are loud. They also have well-engineered designs with passive radiators that enhance bass output. While watching movies or listening to music, therefore, expect good results. HP Spectre has a viewing area that measures around 32 inches. If you are looking for a large display monitor that will fit inside your office well, do not hesitate to buy one. Its durable frame has an eye-catching white theme that stands out. This white-themed 4K HP Spectre monitor has an eye-catching design that people like. 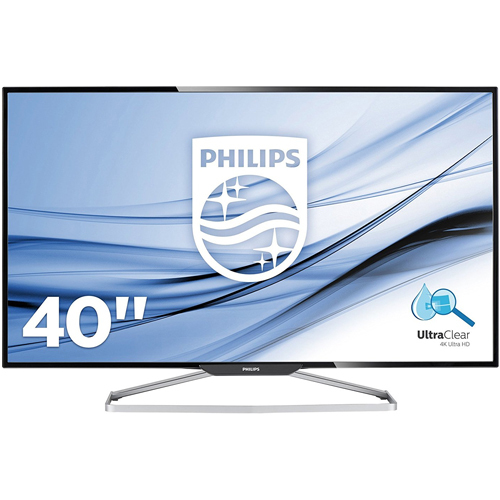 Its high-resolution design (32 inches) also works flawlessly while watching movies or working on documents. Its pictures are clear. Connectivity ports have high-speed interfaces. Finally, the bass-rich speakers that it has produce loud and immersive sound. When shopping for office accessories such as the best laptop cooling pads, people go for brand names such as Samsung. As such, they end up spending more for products they would have got on a budget somewhere else. Even though less known, for instance, BenQ BL3201PH is a versatile monitor that makes work and entertainment fun. You will like its UHD system (4k2K). Its color accuracy and dynamic contrast ratio also improve the quality of the pictures that people get indoors. Are you a professional graphics designer? 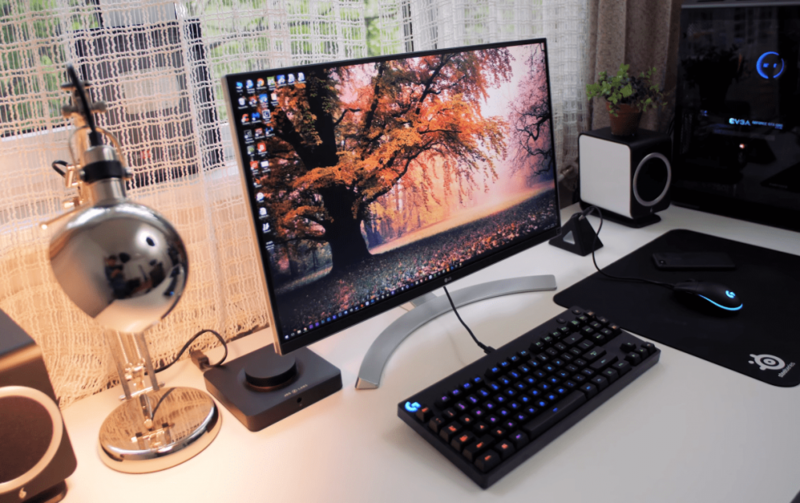 If you are looking for a monitor that will improve your performance, this is one of the best in 2019. Because of its high response rate (4ms), lags and stuttering are not common. In both standard and animation modes, you also get high-quality images with accurate color rendering. You will enjoy using one. The latest IPS technology used to make this monitor’s screen is one of kind. Even though delicate than standard LCD and LED panels, it does not scratch or degrade easily. Its wide-angle design is also perfect for entertaining. This is because of the PIB and PIP technologies it has. With BenQ BL3201PH, you will never struggle to work for long behind a computer. Whether you are tall or short, you can easily customize its height to maximize comfort. The pilot plus software that it has eases the adjustment of its settings. Finally, its eye protector sensor boosts eye safety. BenQ BL3201PH has helped millions of people to stay productive at work because of its quality and convenience. With one, you will never struggle to see words and images. It is also safe on the eyes and has an adjustable design that you can customize to improve viewing angles. 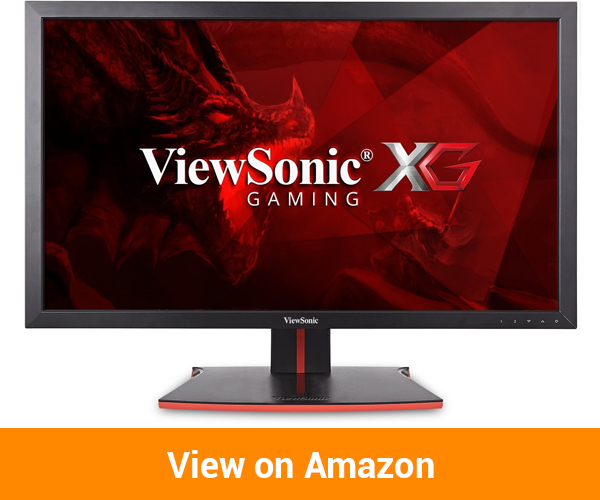 ViewSonic XG2700-4K is a reputable 4K monitor among gamers. 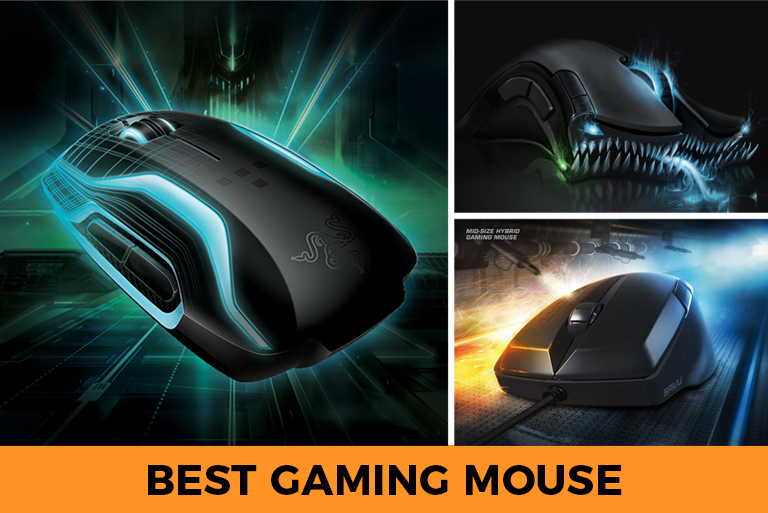 If you are one of them and planning to upgrade your gaming station, do not hesitate to buy this item. Its 4K native resolution is notable. Whenever you are playing, you will get clear and lifelike images. It also has an amazing refresh rate and an ultra-fast response time, which have their share of pros. They eliminate stutter and lags whilst playing. To stay productive in your office, strive to sit as comfortably as possible. Buy an ergonomic chair. 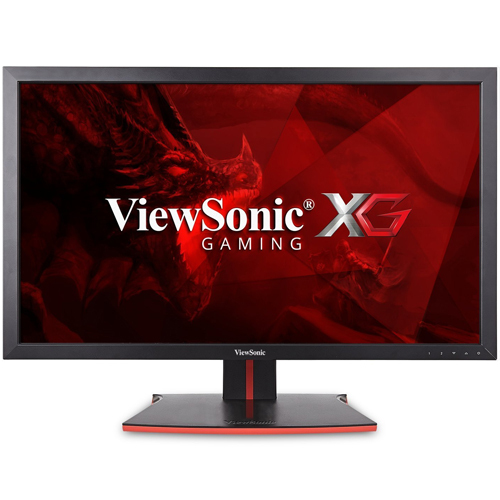 You also need a flexible ViewSonic XG2700-4K monitor such as ViewSonic XG2700-4K. The adjustable stand it comes with, for instance, is ideal. Depending on your stature, you can move it up and down to have a comfortable viewing angle. You can also swivel it back and forth without compromising its structure. The flexible connectivity ports that this monitor has improve its performance. You can connect it and use it with both Windows and Mac computers. The setup and use of mice, keyboard, and third-party speakers is also a breeze. The USB, HDMI, and mini display inputs it has work flawlessly. This is a cost-effective product. Even though it cost more than other brands we have reviews, the quality of the product that you get is notable. You get all cables for setting it up with different peripherals. You also get a three-year coverage. ViewSonic XG2700-4K will improve how you work and entertain. It has a clear 4K display (IPS LCD). Its high response time smoothens gameplay, while its height-adjustable design is comfortable to use. In order to have a clear picture, it is essential to purchase a monitor with a bigger size. 4k Monitors range from 24inch and upto 32inch and sometimes more.However, you need to keep in mind that it is going to be expensive. 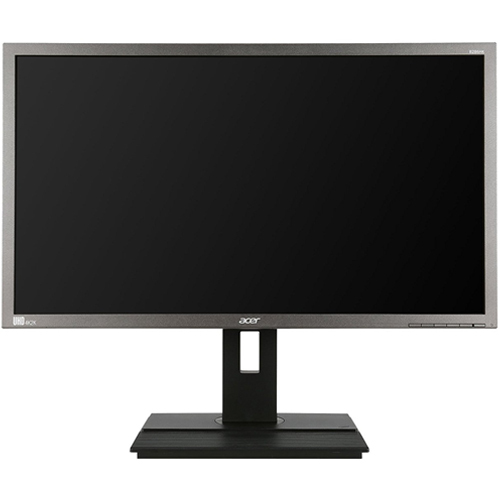 The display size of the monitor is measured usually in accordance with the length. The specifications can found in terms of aspect ratio. You can make calculations of the width and height of the display from the chosen aspect ratio. If the aspect ratio is 1:1, you will get a closer view which will be falling in the vision line directly. The bigger units will, however, have high aspect ratios. The viewing angle, in general, is interlinked with the TV screens. However, if you are willing to enjoy the videos with the friends on the computer, it is essential to have a good viewing angle setting for procuring effective results. You should go for a viewing angle of more than 170 degrees. Response time is considered to be the time which is taken by the pixel for changing the color. The old display screens had the issues of ghost effect which occur owing to slower response time when the pixels do not have the capability of functioning in combination with the moving frames. The recent designs of the monitors provide an improvement over the response time where the range is between 1 to 4 ms. Contrast ratio contributes to being the difference between the darkest and darkest reflection of the screen. It is recommended to opt for a monitor which will confer a very high contrast ratio. The higher rating indicated a better and effective differentiation between the darker and brighter screen. The manufacturers prefer the addition of various contrast ratio parameters to the products. 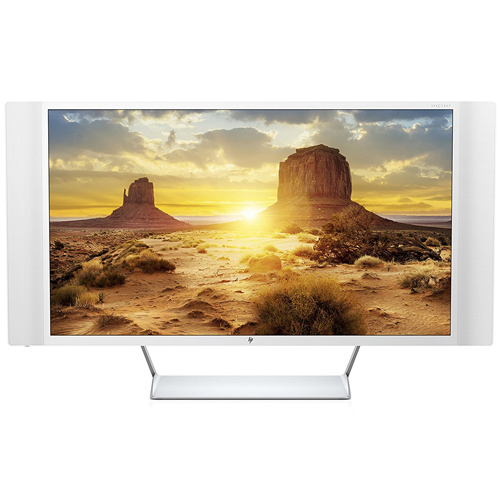 Brightness is yet another vital factor which should be taken into consideration while buying the 4K monitor. A lot of high-end monitors stand out of the ordinary in providing the brightness rating of 300-350 cd/m2. If the room in which you work is brighter, you will be able to handle the different high bright range for the monitor. It should be noted that the higher rating may lead to strain on the eyes. Hence, you should buy a monitor with the brightness range of 250 cd/m2. The refresh rate is considered to be another crucial consideration for the 4K monitor requirements. 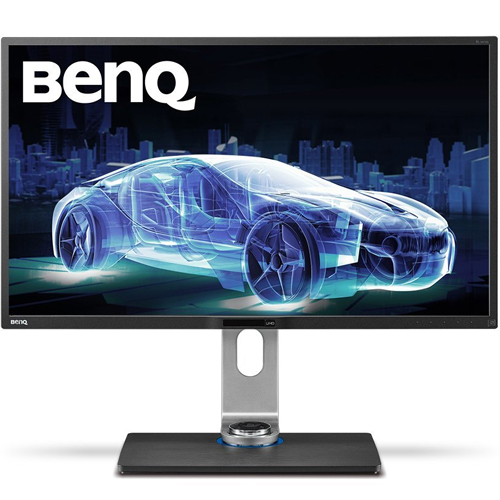 The manufacturers are known to design the monitors with different refresh rates for different applications. For instance, the monitors used for gaming system have the refresh rate of 144 HZ. The mainstreams are known to have the refresh rate of 60 HZ rating. The 4K displays, on the other hand, have the refresh rate of 30 Hz. It is troublesome if you are willing to deal with the image and video editing requirements at 30Hz as it makes mouse and windows handling really complicated due to the slow speed. However, 60 Hz is considered to be a better option for procuring the desired speed range. You can also choose a 4K monitor with a higher refresh rate. Display: If you are shopping for a 4k monitor, one of the most important attributes to look at is its display. What is its size? If you enjoy playing video games, a large monitor will serve you better than a small one. You should check its picture quality. What is its response rate? Can you adjust its brightness and contrast? Never sacrifice quality at all costs. Longevity: In homes and offices, people use monitors for at least eight hours every day. Buying a model that cannot withstand such a level of abuse, therefore, is one of the worst decisions you can make. Look for a durable brand. Convenience: Check the convenience of your product of choice before reaching for your pocket. Is it plug and use? Such products are easy to use. 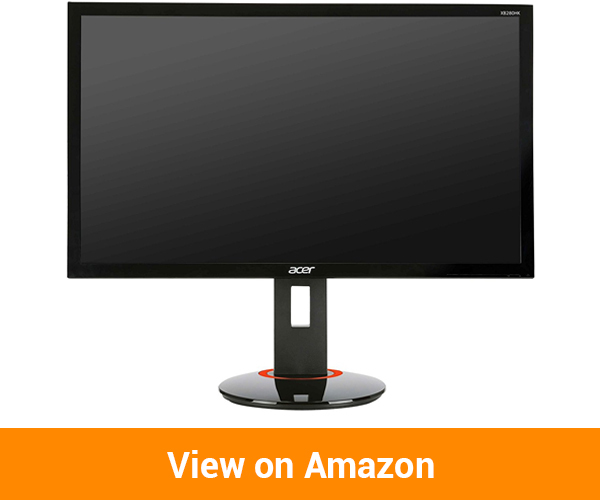 Does it have an adjustable frame that you can adjust to improve its viewing angle? Look for a product that you will enjoy using daily. Conclusion: The 10 4K monitors that we have reviewed are reputable products that satisfy the needs of most people. They are clear, durable, and easy to use. They also have versatile designs for gaming, graphic design, and Word processing.We would also recommend checking out our latest blu ray player reviews which can get hand in hand with a beautiful 4k monitor screen.